This is mostly a sightseeing trip to the Little People’s Village in Middlebury, CT .One of the allegedly creepiest places in Connecticut is Little People’s Village, tucked away in the woods of Middlebury. A complex of crumbling doll-sized houses and odd structures next to the remains of a stone house, it’s rumored to be the damned legacy of insanity brought on by . . . the little people. 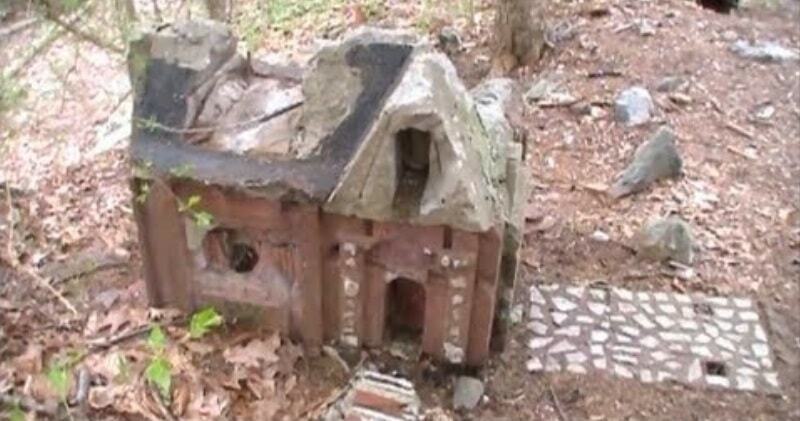 The Little People’s Village is rumored to be haunted. Not much is known about it’s origins. 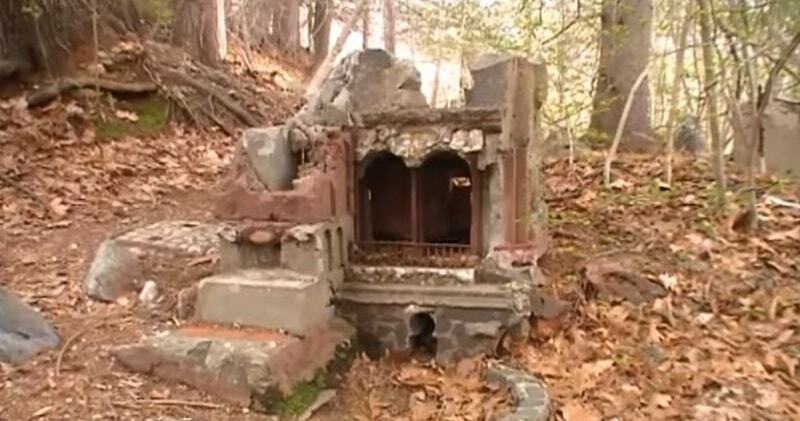 It was said to be built by an old man who heard voices that told him to build all the tiny houses and bizarre structures. It is also said to have been part of Quassy amusement park. I haven’t seen any actual evidence of this. Whatever it was, it was once very elaborate and strange. There is evidence of elaborate water features all around. There were originally more buildings but many have collapsed and decayed or destroyed by fire and vandalism. As such, many of the people who visit now claim it’s haunted by the spirits of the little people — or the ghosts of those tormented by them — and that strong fields of negative energy abound. Others claim that if you linger long enough, you can hear the voices of the little people yourself, and that you too will soon be plunged into insanity.